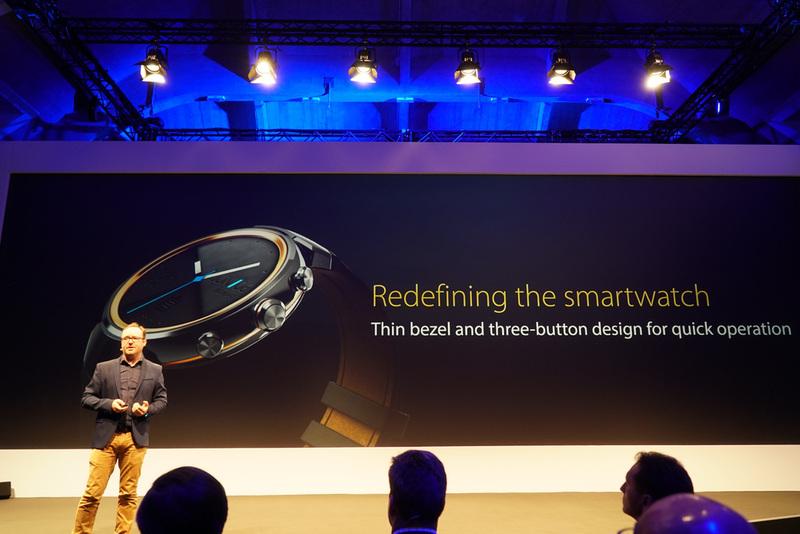 Unfortunately, it looks like ASUS has integrated the band design with the watch. Knock-off Jony Ive speaking in ridiculous superlatives about the leather and steel and buttons and intuition moving mountains in a design video. "When everything comes full circle it's truly a sight to behold." 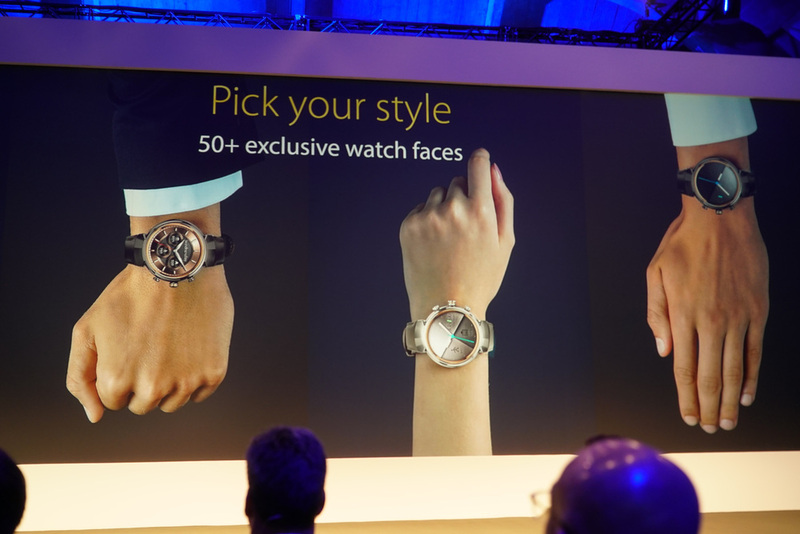 ASUS will have 50+ exclusive watch faces. Plus the FaceDesigner app to make your own watch faces. 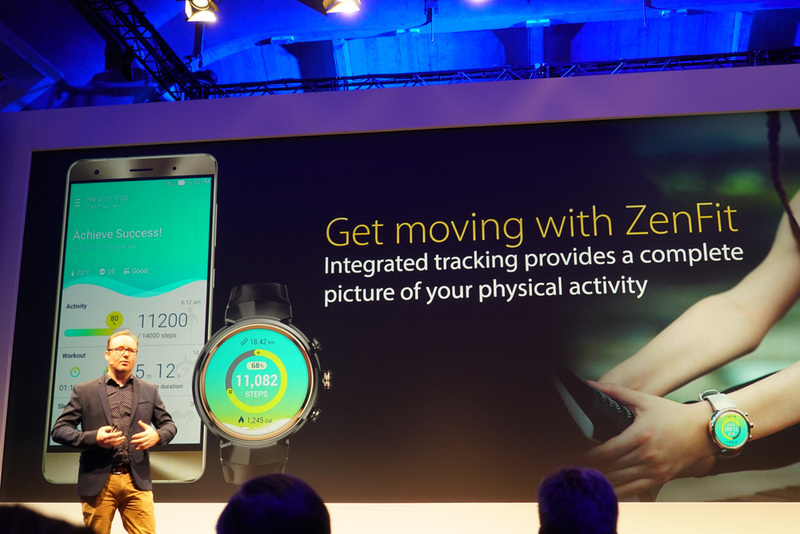 And the ZenWatch Manager app to customize that even further. The top button is can be set to your favorite app. This offers the "most accurate tracking (95%)"
It's also IP67 water resistant. 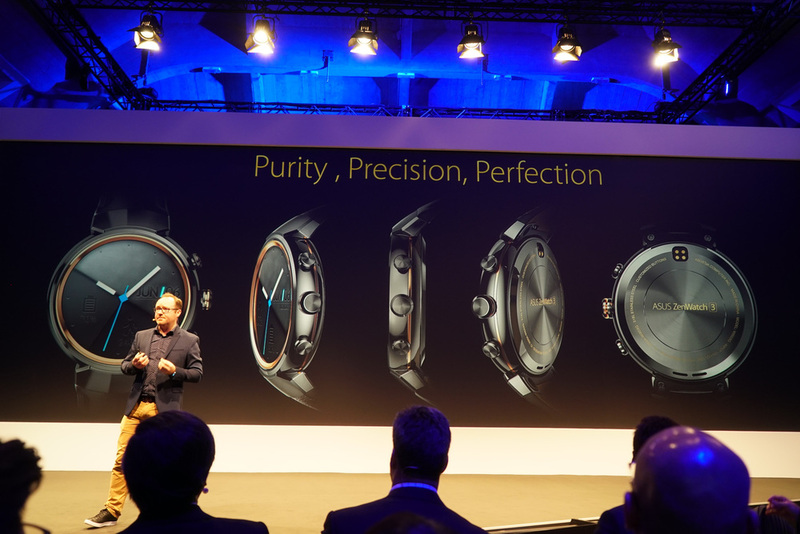 ZenWatch 3 has "HyperCharge technology" that puts 60% charge into the battery in 15 minutes. And the box is really nice. "Custom crafted." Magnetic charger, not wireless like Moto 360 or Samsung Gear.